Is your Biml solution starting to remind you of a bowl of tangled spaghetti code? Good! That means you are solving real problems while saving a lot of time. The next step is to make sure that your solution does not grow too complex and confusing - you do not want to waste all that saved time on future maintenance! 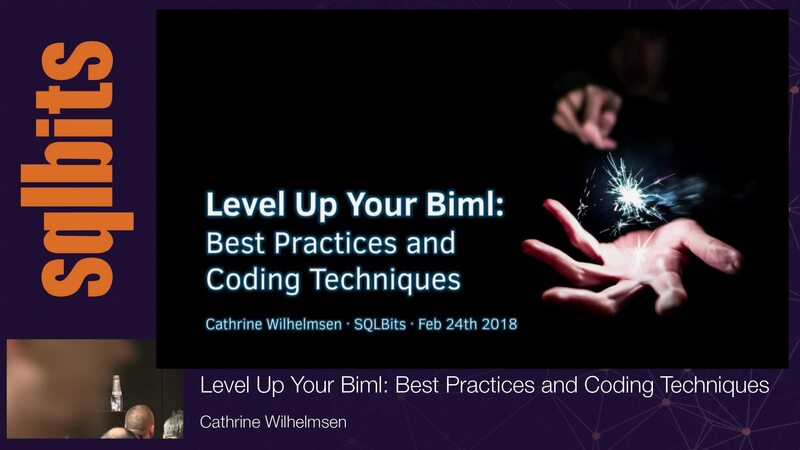 Attend this session for an overview of Biml best practices and coding techniques. Learn how to centralize and reuse code with include files and the CallBimlScript methods. Make your code easier to read and write by utilizing LINQ (Language-Integrated Queries). Share code between files by using Annotations and ObjectTags. And finally, if standard Biml is not enough to solve your problems, you can create your own C# helper classes and extension methods to implement custom logic.